Gutters R Us offers Metal Roofing services from repairs to complete replacements. To provide the best service to you, we have highly trained and experienced metal roof installers and we’ll make sure to send our most experienced person in each field to you from quote to completion of your job. All of the products we use are supplied by major manufacturers, which ensures that we can offer you realistic guarantees and a high quality finish. Whether your current roof structure is damaged or looking tired and old or you are looking for a metal roof to replace the current traditional roof tiles, contact us – we have the expertise and experience to help you. We will work with you, allowing you to make an informed decision when it comes to your roof. Our collaboration with you, as a home owner will result in a roof that best suits not only the structure of your home but also its pre-existing aesthetics. When you commit to utilising our services regarding your roof, we commit to getting your job done with efficiency and within your budget. 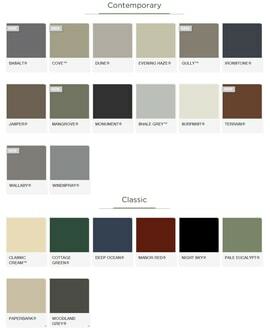 Are you searching for “Colorbond roofing Melbourne” or “metal roofing Melbourne” or perhaps “roof replacement Melbourne”? You’ve come to the right place. If your existing metal roof leaks or you want to replace your tiled roof, then contact Gutters R Us, the roof replacement and repairs specialists. Broken or damaged roof tiles can be repaired however it may be necessary to fully replace your roof. 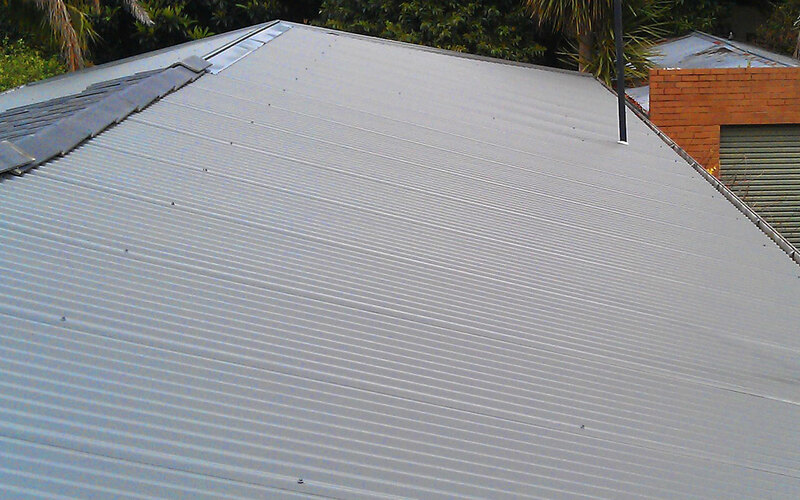 A Colorbond roof replacement is often the preferred option. We can supply and install any Colorbond roofing in all profiles including Custom Orb (corrugated,) Monoclad, Speed Deck and many more, with the additional option of Polycarbonate Roofing for your outdoor area. Contact us on 1300 733 560 for a no obligation free quote. Our metal roof restoration specialist will offer options suited to your home, budget and requirements. There are several factors to consider before giving a realistic and honest quote. These include whether it is a single storey or double storey building, any access restrictions, the extent of the damage, if scaffolding is required or other safety compliance issues are relevant. The only way to give you an honest quote is to visit the site and understand the job requirements. Many of our jobs take a day or two, however as with price, there are a number of variables that we consider before telling you how long your specific job will take. Our staff have all the proper licenses and we use quality products from leading manufacturers so we are able to offer our clients a guarantee on materials of 20 years and workmanship of 6 years.